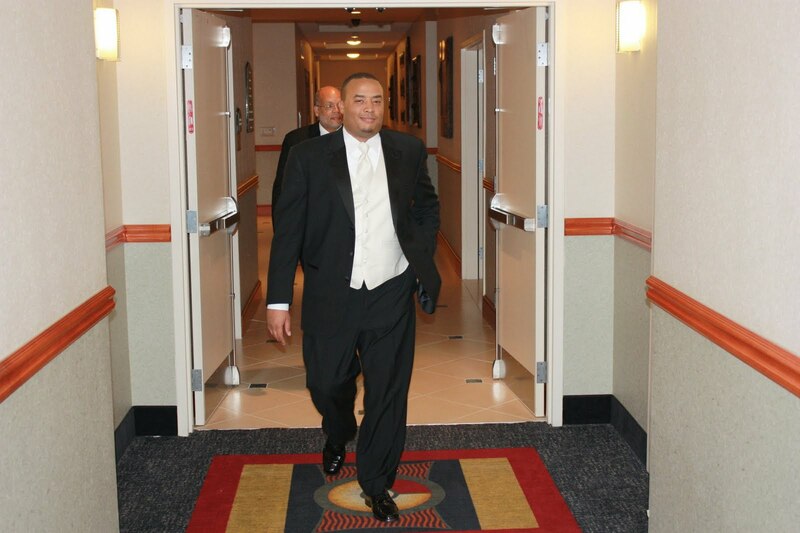 I was told it was hard to round up good pictures from your wedding and well that is very true. But here are a few that I could scrounge up. With my wedding, I can say I was probably 95% happy with everything and 100% happy with my look. There is an issue of missing corsages that never got to the moms & grandmother. The morning of my wedding I got my brakes changed....LOL. I couldn't sleep I was up at 6am and everyone else was sleep. The brake place opened at 7am and they finished my 9am, so everyone was up when I got home. My maid of honor texted me, who gets their brakes changed on their wedding day? It was almost like some alone time for me before all the chaos began. These are all my nieces and nephews from 2 of my siblings. They really stole the show...they were just too cute. The girl's dresses came from Ebay (new) at $14.99 a piece. The boy's suites were from Dapperlads.com at $30 a piece. Everybody should have a cookie before their wedding. 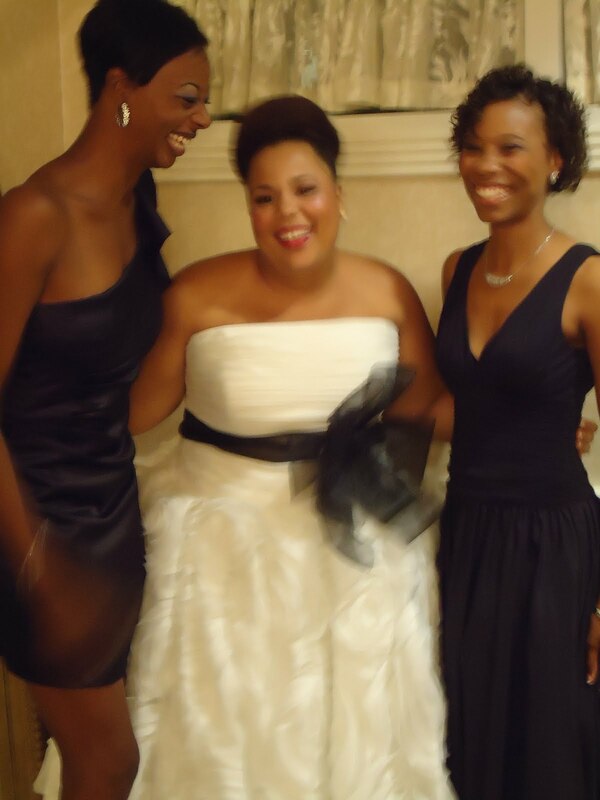 Me & my girls - the maid & matron of honor (sorry for the fuzziness). They were so helpful! Love you girls. My new name is Chastity Valentine...super cute huh! 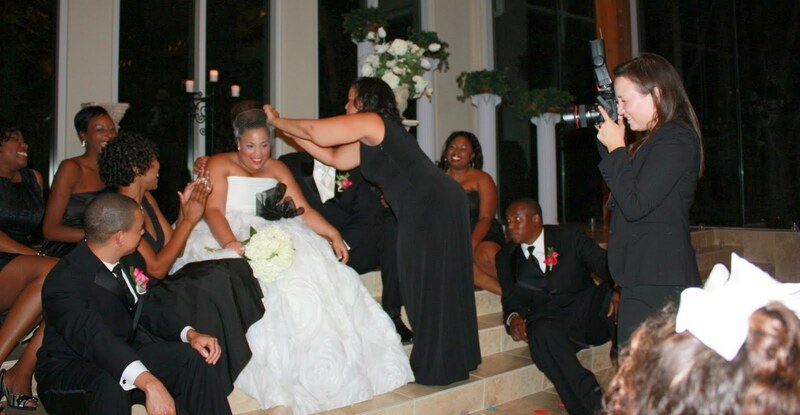 The one thing I didn't realize is that my bow and my bouquet would be competing for space...LOL. I should have moved the bow to the other side of me. I will do a post on the reception. With cake from Romanos Bakery, music from DJ AV, and the wedding venue was Ashton Gardens (with locations also in Houston & Atlanta). Everything did turn out beautifully and we each got the memories we wanted for that day. Everyone asks if you feel different being married and I honestly didn't think I would, but I do. The name change and forever concept is a real life changer, but I am truly excited to get to grow old with my life partner. Congratulations! You were a beautiful bride... LOVE that sash and the ring bearers outfits... just precious! You look stunning. 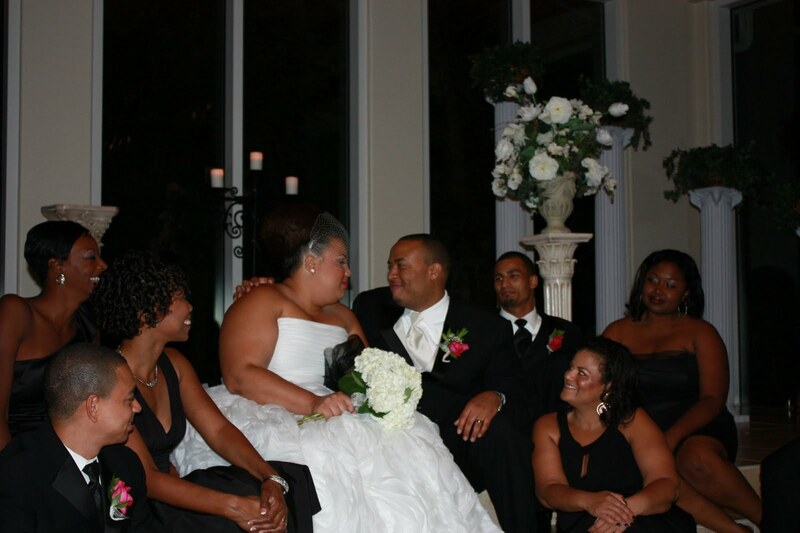 I generally dislike wedding dresses, but yours is so classic, especially love the black sash. Your nephews and nieces are adorable. 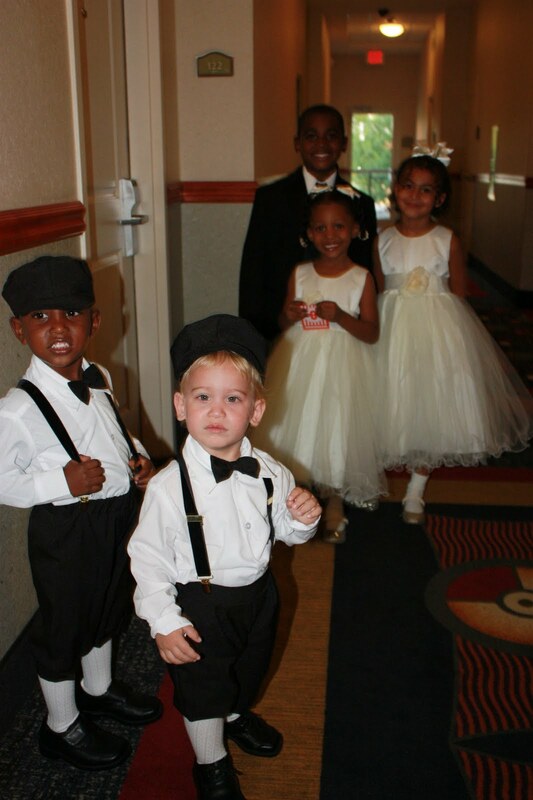 Kids in formal wear are so cute. 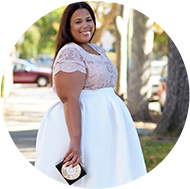 How gorgeous are you in your wedding dress!! Congrats!! Chasity you look beautiful! I love that dress; it fits you like a glove lol! Congrats hun, I wish you guys nothing but pure happiness and a abundance of blessings! Congratulations Chastity! You were absolutely stunning! Congratulations gorgeous!!! 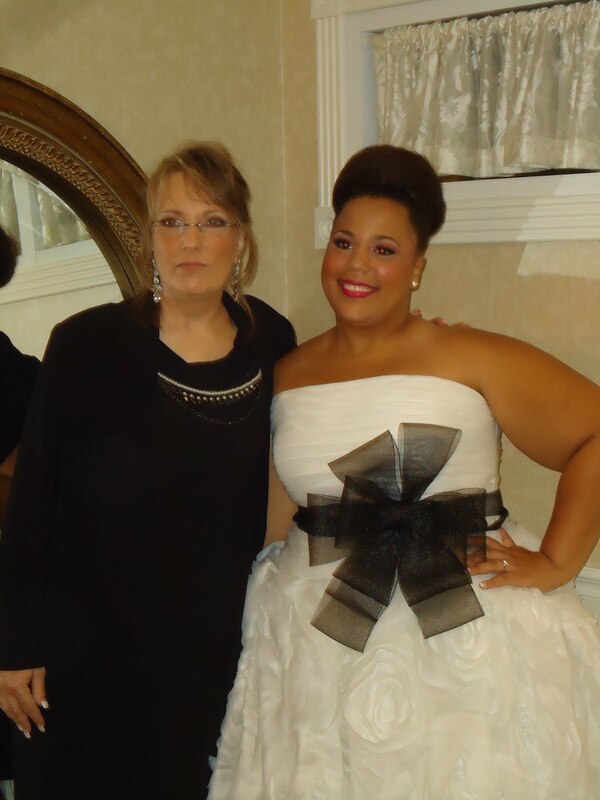 You were a beautiful bride!!!! Omg how cute were the nieces and nephews! I am very happy for you and wish you and your husband an amazingly blessed life together! Oh my GOSH! You are SO gorgeous!! I love your dress and everything looked beautiful! YOu look beautiful!!!!!!!!!!!!!!!!!! Congratulations! I love the bottom of that dress THE MOST!!!!!!!!! You look gorgeous and happy! Congrats and ps, that is a fabulous dress!! You look absolutely gorgeous. That dress was perfect. 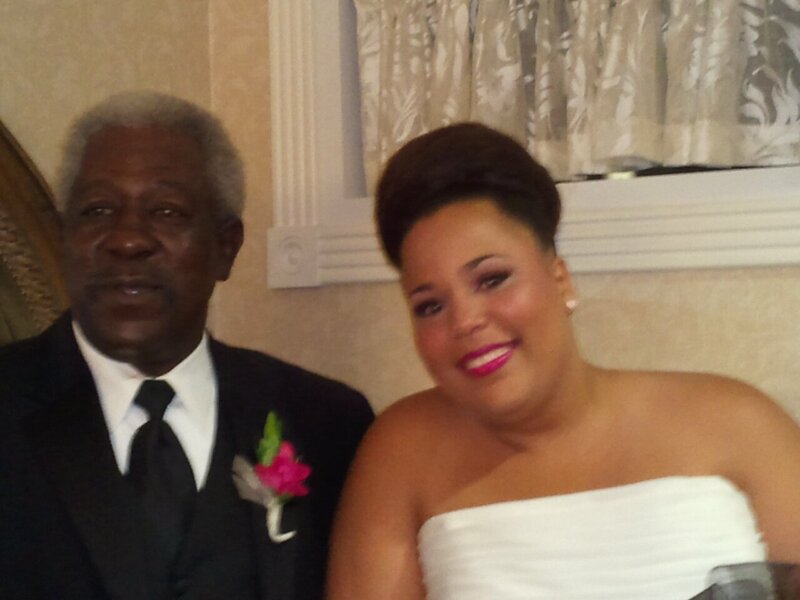 So beautiful, glad you had such a special and beautiful day! ouuuhhh la la!! !...congratulation you were stunning!! YOUR DRESS WAS GORGEOUS AND YOUR MAKEUP WAS FLAWLESS! MY EYES WATERED A LITTLE WHEN I SAW YOU TWO GAZING AT EACH OTHER! 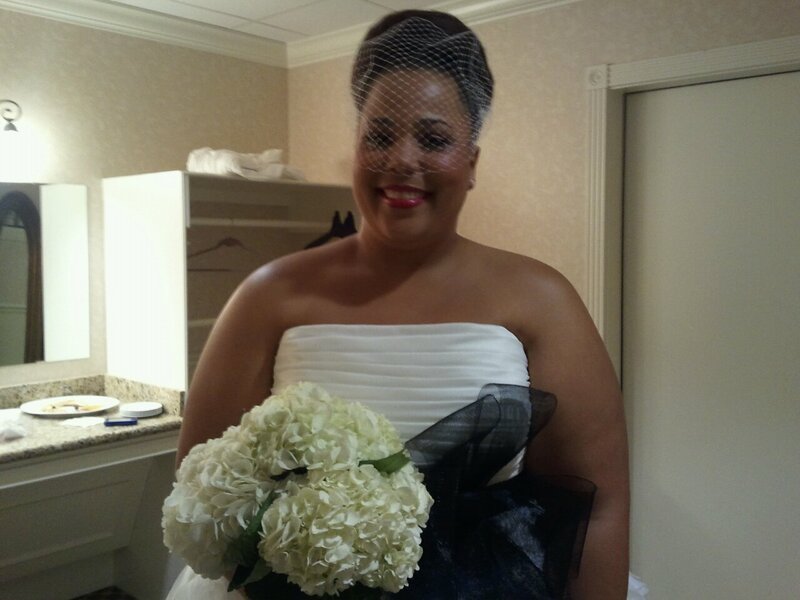 cCONGRATULATIONS MRS. VALENTINE! You looked GORGEOUS! Congratulations love! those little ones are so adorable, omg! You look Great!!! Love the bouquet. Everything looked lovely!!! I've never posted a comment on your blog before--but this time, I just had to. YOU LOOKED STUNNING. Congratulations on your nuptials! 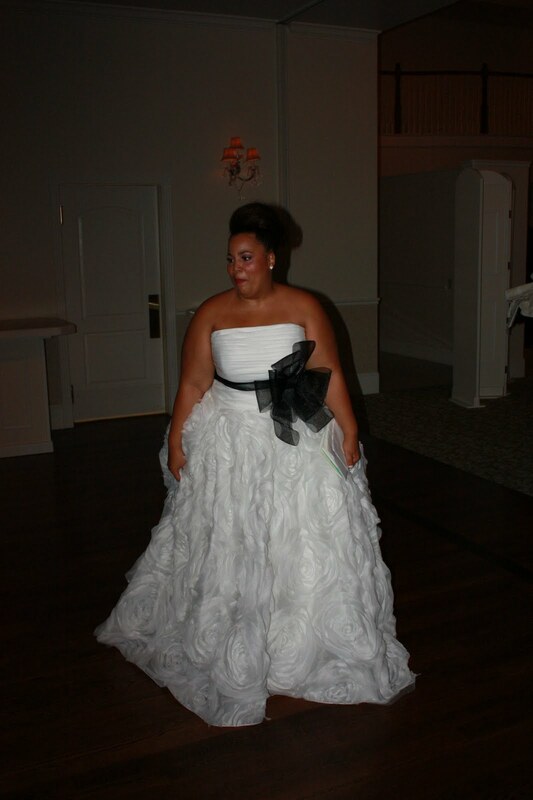 The dress was stunning and really accentuated yourfugure and showed off your style! Congratulations! Such a beautiful and stylish dress. And your sister did an amazing job on your makeup, Beautiful! Congrats! You look beaitiful and I love that you went with that lace for your veil. It has a very classic and vintage look. congratulations honey! you looked amazing! loved the dress and sash. 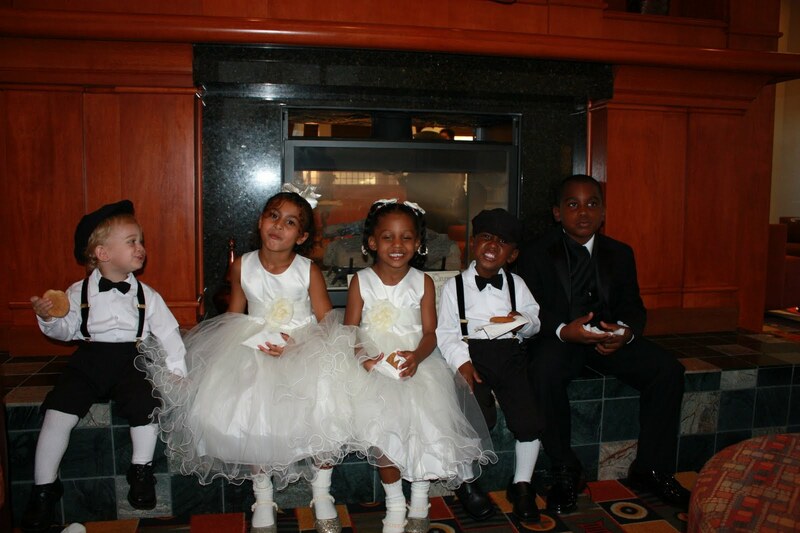 the pic of the kiddies eating cookies was TOO adorable! best wishes to you and Brian! Congratulations Chastity! You look gorgeous and your new name is super cute. I wish you all the best. You look absolutely stunning! Congratulations and may God bless your marriage! Hi! I am a new follower and just love your style!! You looked stunning on your big day. 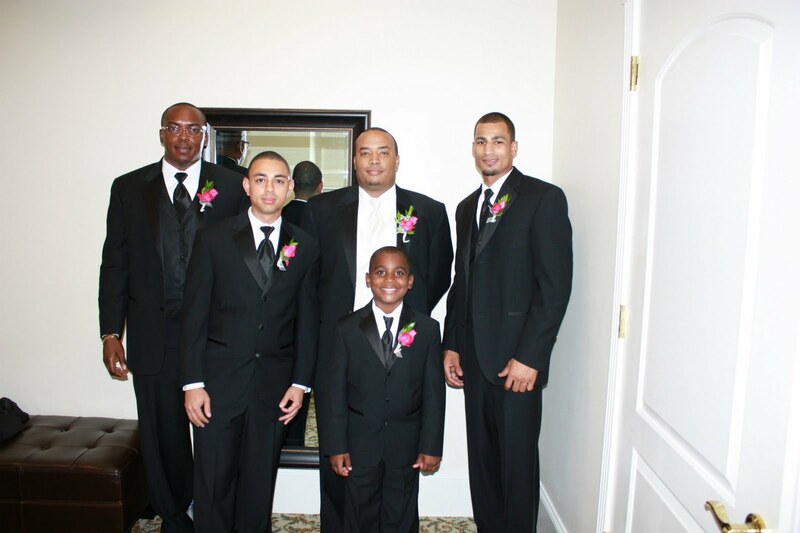 I posted pics of my wedding too on my blog. Check it out. You look beautiful! Your last name, Mrs. Valentine is so cool. Mrs. Chastity Valentine...you are just GORGEOUS! Congratulations! You look beautiful :) Enjoy your new name,I wish you and the new hubby nothing but happiness. omg you look so gorgeous and happy! congratulations and i wish you the best girl! First of all, Congratulations!!! Secondly, just found your blog and I love your style. Super cute. Congratulations!!! I'm getting married next year! I could surely use any tips or tricks :) You look so beautiful and happy!!! I love your wedding dress!! GORGEOUS dress and You were a STUNNING Bride...CONGRATS!!!! Congratulations! Your dress is amazing. Here's to many,many years of love & happiness!